Currently, the cannabis industry is growing at a rapid rate. As per a new report by Grand View Research, Inc., it’s expected that global legal marijuana market will reach $146.4 billion by 2025. Seeing the medical benefits of cannabis, more people are supporting it and applying for their 420 med evaluations. Even, celebrities are also coming forward to support the industry. Recently, Chelsea Handler, a comedian, author and writer, announced her investment in Civilized Worldwide Inc. In February, she announced developing her own cannabis line. She shared this story about signing a deal with NorCal Cannabis Company at Canndescent’s Stylus launch party where she was invited as a special guest. Chelsea Handler has been working with Civilized since 2018. She appeared in a wide range of company’s events in America and Canada and involved in a number of projects. She appeared at the inaugural Cannabis Congress, which were proved successful. Additionally, the comedian conducted a tour named “A Civilized Conversation with Chelsea Handler” presented by Civilized. In 2015, Chelsea celebrated her 40th birthday with marijuana. Through her twitter post, she announced of becoming a medical marijuana user, and also shared pictures. Civilized Worldwide Inc. is a popular media and lifestyle company, which is aimed at highlighting cannabis culture and turning people make cannabis as a part of their daily lives. They produce digital content, builds brands, and produces world-class events for both business-to-business and business-to-customer audiences. It was founded in 2005 by Derek Riedle and has grown a leading company in the global cannabis space. The company has offices in California and New Brunswick. The company’s website www.civilized.life provides high-quality, engaging content to help educate cannabis lovers about its use, benefits, and more. It has over 2.5 million unique visitors every month in North America and is growing in the digital space. The president Terri Riedle and publisher Derek Riedle are planning to expand the operations of the company through live events, marketing, and video platforms. The company’s expansion goals also attracted Michael Cohl, a Canadian concert promoter, and former group president of Conde Nast Mitch Fox. Recently, the company acquired Revolution Strategy, an LA-based marketing communications agency and a newly rebranded 420 games Business of Cannabis. In January 2019, Civilized partnered with Cannabis Club TV (CCTV) to expand its video reach through in-dispensary television network. CCTV is an on-demand streaming OTT network. At 175 point-of-sale locations in 11 US states, it has about 2.6 million monthly viewers. The company is aimed at educating and entertaining consumers while providing reasonable advertising solutions to cannabis brands. CCTV provides news and entertainment including talk shows, sports, comedy, reality TV, etc. into the waiting rooms of dispensaries and sales floors across the country. Every month, 13,000 unique videos are featured on the ad network, which will provide Civilized increase its audience. Civilized TV is planning hit series “First High” and “Ask a Budtender” along with new shows. Additionally, the company wants to produce content for global TV audience with Insight Productions, and it has also signed Moosehead Beer, Infor Financial, and RPC Science & Engineering as sponsors. Medical marijuana is an effective medicine with no side-effects. It’s good that seeing the positive effects of cannabinoids, lawmakers are also making the right moves to make the herb available for patients and celebrities like Chelsea Handler are coming forward to support the cannabis industry. Hopefully, the day isn’t far when cannabis will no more be a Schedule 1 Drug and can be used legally all across the United States. From the legalization of medicinal marijuana by various states, an upsurge in its benefits is evident, especially in the fields of health and wellness. Cannabidiol is a mixture of a non-intoxicating chemical known as cannabinoids, extracted from the cannabis plant and a carrier oil which is generally coconut oil. While most of the anti-cannabis population is still pretty skeptical about its application in medicine, many research experiments have proved that CBD is nothing less than an elixir, which has the ability to cure a range of ailments including anxiety, joint pain, and diabetes. Currently, CBD is the most encouraging compound from both a showcasing and marketing viewpoint. Many clients trust it causes them to unwind, regardless of it not being psychoactive. Some trust normal dosages enable to fight off Alzheimer’s and coronary illness. Cannabidiol is a compound in the sativa plant. While the intoxicating THC constitutes a significant part of the cannabis, Cannabidiol makes up about 40% of cannabis extricates. But, most CBD items that we find today are derived from the plant hemp or best quality cannabis seeds. The reason why people prefer CBD so much in the modern world is discussed later on in the article. Patients for quite varying diseases use CBD today to protect themselves from anxiety and seizures, followed by Parkinson’s disease, schizophrenia, muscle disorders such as dystonia, and even Crohn’s disease. Chain smokers are now inhaling CBD using herbal vaporizers to get rid of their addiction. Vaporizers like CBD Juul pods and Firefly 2 plus are the most popular among people who vape. An increasing number of individuals in the health-conscious and wellbeing fraternity are swinging to CBD for its ground-breaking calming and anxiety curing abilities. Somehow, almost as many people, if not more, are uncertain about the concept and existence of the compound. Fundamentally, both CBD and THC are quite similar. Both are acquired from hemp and cannabis plants, yet CBD differs from THC on the basis that it is purely not psychoactive. This means that the feeling of euphoria that is associated with traditional marijuana plant does not impact the user in any way. CBD enhancements could enable an individual to achieve the objective of growing more muscle, by bringing down the number of catabolic hormones in an individual’s body. With lower catabolic hormones an individual’s body won’t most likely break down the mass as fast as before, therefore enabling the individual to expand their muscle strength. Also, CBD acts as the polar opposite of the THC found in cannabis that increases the impulse of binge eating in the user’s mind. CBD has demonstrated the capacity to help direct a person’s blood sugar levels. With controlled glucose levels, there are less fat-putting away hormones created by the pancreas in an individual’s body bringing about less fat being put away. Since the additional fat sends a signal to your brain that it’s in abundance, it becomes the primary source of energy to be burned off to fuel the body’s needs, it results in an overall decrease in fat cells in an individual’s body. The effectiveness of CBD as a painkiller and healer, however, has been debated against another cannabis-based competitor. The Black diamond strain has a few applications for therapeutic cannabis patients. Its solid, opiate feeling of sedation can adequately numb throbbing pain, regardless of whether it is temporary because of some damage or chronic because of ailments like joint inflammation or Lupus. Found inside the liver, the cytochrome P450 chemical framework is in charge of metabolizing poisonous mixes and compounds, including over 60% of the drugs that you have taken. Cannabidiol can restrain the cytochrome P450 framework’s capacity to use certain medications, prompting a general increment in processing times of the medications you have consumed. Any medication utilized by CYP450 proteins could possibly and is likely to interact with CBD, which it most definitely should not. This list also includes steroids. So if you wish to consume any steroids before or after using CBD to optimize your body and its muscle to the maximum, you must consult your doctor to ensure your safety before you supplement steroids with CBD oil. In the event that you are concerned that your CYP450 pathway may not be working legitimately, doctors can test the framework to guarantee that the drugs you take are metabolizing effectively as they should. When all is said and done, CBD has demonstrated a high amount of adequacy. It works – in a few regions. But still, there has to be more research, even if it is to relieve doubters and skeptics. What is sure, is that this is an item which can work in the long run. In the end, it is up to the consumer themselves to ensure compliance with laws and be in constant touch with a medical professional on any use of CBD. https://www.onlinemedicalcard.com/wp-content/uploads/2019/02/Can-You-Give-CBD-Oil-To-Your-Dog.png 423 1150 Admin https://www.onlinemedicalcard.com/wp-content/uploads/2018/06/Steady-Care-Logo-Converted11-1-300x68-300x68.png Admin2019-02-01 01:32:392019-02-01 01:33:33Can You Give CBD Oil To Your Dog? In 2018, the California Legislative Assembly made more than 1000 bills brought into effect as laws after the signature of Governor Jerry Brown on various issues like net neutrality, environment issues (plastic straw), etc. We should say that the issue of cannabis was indeed a side stone and nothing much was done regarding the subject except a few bills to provide minor language clarity to the Medicinal and Adult-Use Cannabis Regulation and Safety Act (MAUCRSA). A few others dealt with the creation of new licenses, regulations, and programs. In this article, we shall look into some of those bills related to cannabis that has been passed and will be effective in 2019. These bills gave the authority for authorities who issue cannabis licenses to get access to criminal history information from the federal agencies. Also, the Department of Justice can also transmit the fingerprint images of the applicants for cannabis licenses and other related information to the Federal Bureau of Investigation (FBI). As you might know, Cannabidiol or CBD is one of the compounds present in cannabis which is non-psychoactive, i.e., it does not induce highs. This bill authorizes physicians, pharmacies and other people with healing licenses to prescribe medicines with CBD and also dispense them as long as those products are approved by the federal Food and Drug Administration (FDA). More and more researches now confirm that Cannabis or CBD, in particular, has many medicinal properties and may have the potential to heal ailments like epilepsy, cancer, etc. Cannabis infused medicines are also becoming popular among the pet owners. In fact, there are special CBD treats available in the market especially made for pets. A clinical study promises a positive outcome of CBD administration on dogs with epilepsy. AB 2215 prohibits any veterinary doctor who has any benefit from the Cannabis licensees or whose immediate family member has a MAUCRSA license from prescribing cannabis products to an animal patient. If he/she is found violating this law, the Veterinary Medical Board has all the rights to revoke his/her license. If you grow cannabis for personal recreational use, this is something you should know. This law empowers cannabis growers for personal use to get their plants tested and know what they actually consume. AB 2721 allows the testing laboratories to test cannabis from private growers and provide them with valuable information regarding what they consume and prevent them from consuming potentially hazardous substances. This law pertains to the advertisement of cannabis and its products in California by cannabis businesses who have canceled licenses. It prohibits such companies from advertising or marketing their cannabis products. This law is coming into the legal scene to ensure that people get hold of cannabis only from those who have legal licenses to sell cannabis and its products, given the findings that black cannabis market is still perceived to be profitable in many ways. AB 2914 pertains to alcoholic beverages containing cannabis. Existing laws already prohibit cannabis licensees from selling alcohol. But with this law coming into force, alcoholic beverage licensee also cannot offer, sell or provide any cannabis products with alcoholic beverages, including alcoholic beverages containing THC, CBD, hemp, etc. This, however, is silent about the use of cannabis with steroids, another controversial combination. There is a list of products that the law prohibits from marketing to minors over the internet. AB 3067 adds cannabis and its products to the list. So, cannabis businesses can no longer market their business or products to minors on the internet, be it on the web, applications or games. Existing laws require that the cannabis sellers maintain official records of each and every commercial cannabis transaction. AB 2402 prohibits the cannabis licensees from giving out the personal information of their customers to third parties. This law, however, has two exceptions: first, in connection to processing the payments and second, to the government officials like the police who are performing their official duties. This law empowers the local administrative jurisdictions with the authority to issue temporary licenses to cannabis events at the venues they wish to permit. In order to get a temporary license, the applicant should have a valid license from the Bureau of Cannabis Control. SB 1294 also has the name California Cannabis Equity Act of 2018. According to this, the Bureau of Cannabis Control has to undertake an equity programme to provide grants to eligible local jurisdictions to assist local equity licensees and applicants. Governor Brown’s budget has set aside $10 million for this cause. There were also some other minor Senate Bills passed like SB 311 (Pan) to regulate the commercial cannabis activity and its movement, SB 1459(Cannella) to regulate the provincial licenses, etc. These were the amendments in the cannabis laws which are already approved in 2018 and are all set to come into force in 2019. These bills, as usual, a step forward to make sure that there is a proper use of cannabis and its products keeping the welfare of the citizens in consideration. The dangerous consequences that come attached to smoking have never stopped people from pursuing this habit. “I am going to quit smoking” is probably the most common resolution most people take and fail to keep up with. But the number of serious health risks that are related to the habit should be reason enough at least to take a step towards controlling. Well, the process of quitting needs to start small and the best start is using an alternative to your cigarettes which could be a vape pen. 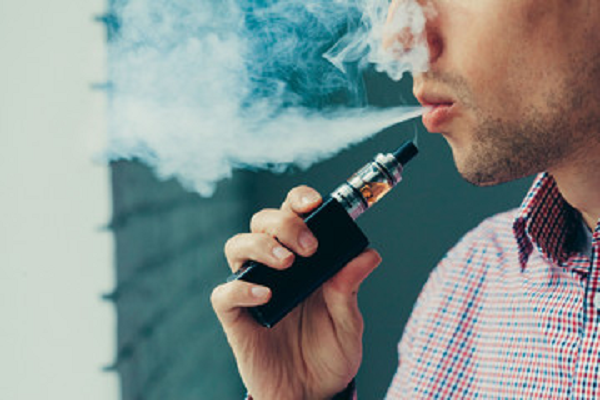 Here are 5 important reasons why you should be shifting to vaping from smoking. 1. A huge scope for saving money: An average smoker at least requires 2 packets of cigarettes a day and keeping this number and calculating the total cost you might end up spending a lot more than you think you are. The prices of cigarettes tend to fluctuate and this depends on the brands, taxes or penalties that are applicable to different areas. 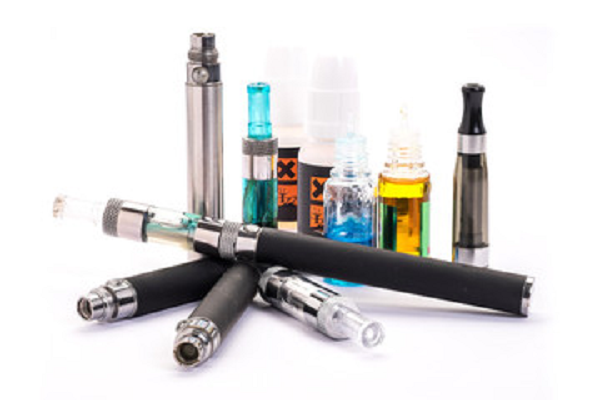 E-cigarettes can be purchased online and even the replacements for the coil and the vaping liquid are significantly cheaper than cigarette costs. A starter kit can last about 2 weeks and this will turn out way cheaper than cigarettes. 2. Better for your health: Vaping liquids do not contain tobacco which is an important reason why vaping is a healthier alternative to smoking. Vaping liquid is often fruit-flavored juices that give you a refreshing feeling rather than consuming tobacco which contains about 70 chemicals of carcinogenic properties. These pens do not contain nicotine which is the addictive element in cigarettes and hence there Is no need to worry. The toxicants present in the smoke is the primary reason behind cancer the risk of which gets completely eliminated during vaporizing. 3. No chance for second-hand smoke: The worse effect of smoking is not only destroying your own health but deteriorating the health of people around you. This is one of the reasons why smoking in public areas has been prohibited in various places. In fact, second-hand smoke has been related to lung cancer and coronary heart diseases where the chances have been increased by about 20% – 30 % and 25% -35 % respectively according to a study. Using a vape pen would mean that you enjoy your habit to yourself and also end up leaving no toxic smoke behind that might harm the people around. 4. It is safer than smoking: Switching to vaping can reduce tobacco-related deaths. E-cigarettes can also aid the process of quitting smoking habit as per results of a study. It is a safer way to withdraw from smoking habit unlike using nicotine patches or therapies and the change here is more gradual. The reason behind the same is that psychologically a smoker still can take the satisfaction of holding and smoking but there are no hazardous chemicals involved in this process. 5. It opens up a lot of choices: The largest range of choices for cigarettes usually get limited to the brands and the strength. Vape liquids offer a large range of options to choose from and even mix two flavors and experiment. Also, unlike quite a stagnant innovation in front of cigarettes, vaping pens have witnessed tremendous changes and evolution to date to make the device safe and suitable for all. Nowadays, you can easily get vapes and e-liquids at various online stores and also can order weed online from Canada’s best online cannabis dispensaries. Vaping does not need a lighter which essentially eliminates one of the prime safety problems that cause fire accidents. The absence of combustion ensures that the possibilities of a fire are significantly reduced. Vaping also offers the liberty to simply enjoy one drag and leave the pen behind rather than letting guilt make you smoke a complete cigarette. As the market expands user interest will bring to the table more flavors, features and finally a much better alternative to a cigarette in the form of vape pens. You clean your face regularly that too twice daily. You abide by all the skincare rules and procedures. https://www.onlinemedicalcard.com/wp-content/uploads/2018/11/How-CBD-Can-Help-Control-Your-Allergies.png 423 1150 Kathy Cooley https://www.onlinemedicalcard.com/wp-content/uploads/2018/06/Steady-Care-Logo-Converted11-1-300x68-300x68.png Kathy Cooley2018-11-12 12:25:192019-01-30 03:53:21How CBD Can Help Control Your Allergies? Lawmakers and medical community since a considerable time have been debating the use of CBD oil for several medical treatments. But with the efflux of time and intensive research undergoing world over to examine the true potential of cannabis, these researches have emerged in support of the usage of cannabis and its medical benefits. CBD oil is an extremely dynamic medicine. So dynamic that patients turn to the extract for relief from everything from anxiety to epilepsy to cancer. It has significant medical benefits which have proven to be essential for human health. CBD is used for treating anxiety, pain, loss of appetite, back pain, epilepsy, and a number of ailments. From current 1st January, California has already legalized marijuana for recreational use. The new cannabis law, Prop 64 facilitates the residents with the option to grow cannabis for their personal use under a grower’s license. Further, the new law provides the patients with the benefit to grow a larger number of cannabis plants under a medical marijuana grower’s license. With more states on the way, the area under cannabis cultivation is likely to be increased many folds. https://www.onlinemedicalcard.com/wp-content/uploads/2018/07/HOW-CAN-SOLAR-POWER-BE-BENEFICIAL-IN-MEDICAL-CANNABIS-GROW.png 423 1150 Admin https://www.onlinemedicalcard.com/wp-content/uploads/2018/06/Steady-Care-Logo-Converted11-1-300x68-300x68.png Admin2018-07-06 07:08:522019-02-11 01:54:09How Can Solar Power Be Beneficial For Medical Cannabis Grow? Growing crops for a particular purpose is not as simple as sowing seeds in a tray or buckets full of soil, watering occasionally and then harvesting the crop. In fact, it’s far more complex than that. What’s more, growing cannabis indoors is more tedious than doing so in an open field. If you are planning to grow medical marijuana indoors in California, then you can grow plants only in 100 sq. ft. area. You also need a grower’s license, which you can obtain after an evaluation by a duly licensed medical marijuana doctor, like those at Online Medical Marijuana Card. Your aspirations are high and your budget is limited. You need to figure out how to grow the maximum plants. Your main concern is how to get the optimum yield. As a medical cannabis user, you need your cannabis dose regularly. Now that you have decided to grow your cannabis, you need to know all about it’s growing technique. You can grow more cannabis plants without any repercussions after getting Medical Marijuana Growers License. Online Medical Card provides Grower’s license within 10 mins, with which you can legally grow up to 99 cannabis plants. You may have heard that cannabis has a lot of health benefits, and you may want to experience some of these benefits. However, beware, if you are a new cannabis user as you may fall prey to synthetic cannabis. Recently, synthetic cannabis products are being marketed as natural cannabis-like compounds, but they are highly dangerous for consumption. First of all, let’s explain what synthetic cannabis is. Polycystic Ovary Syndrome (PCOS) is one of the most common problems that affect about 10% of women in their reproductive age in the States. The number of PCOS affected women is estimated to be 5 million in America alone. The teens, as well as the women in reproductive or childbearing age, are found to have PCOS issues. This Ovulatory Dysfunction is linked to Insulin Resistance, Sub-fertility, and Obesity. Therefore, girls and women who have these issues carry a higher risk of PCOS. It is 4/20, a remarkable day for cannabis users when thousands of people from across the world come together to enjoy their favorite Marijuana. Major rallies are held all over the country, especially in Colorado, and California, where this herbal plant has been legalized. They enjoy their smoke, sharing the taste of their cannabis with their friends, and poking at every other people who think that Marijuana is a non-consumable drug or that it is illegal to smoke it. The two main varieties of Cannabis are “Indica” and “Sativa”, which contain THC and CBD in different ratios. They are, therefore, known for their medicinal values. The breeders try to concentrate the plants’ compounds by producing hybrids. Thus, they modify the delicate cannabis compounds into a more potent, portable and less perishable form. The hybrid varieties contain variable cannabinoid profiles, and thus, show different medicinal effects when consumed. Today, hybrid varieties dominate the cannabis market. These strains are gaining popularity as they contain a high THC level, as well as terpenes, and trichomes. HIV stands for Human Immunodeficiency Virus which can lead to Acquired Immunodeficiency Syndrome; AIDS. It makes the body’s immune system weak and thus hinders its ability to fight infections. A weak immune system makes body’s cell more susceptible to develop cancer, leukemia, pneumonia, liver failure and other life-threatening conditions. Cannabis has been used as a medicine for many centuries. Some resources suggest that it can even be traced back to 2 millenniums ago, when Chinese surgeons used this mighty plant as an anesthetic. In fact, if we translate the Chinese word for “anesthesia” (mázui) it literally means “cannabis intoxication”. Who doesn’t love the freedom of growing their own Cannabis, but this comes with great responsibility and lots of hard work. It is of vital importance that you get to know the plant that you will be growing its needs and what resources you will require to fulfill them. It is not easy for the first time grower to get it right the first time round which is why you should give these tips and tricks for indoor and outdoor practices a go. What do you need to know about Indoor Cultivation? With an estimated revenue of $5 billion, California is set to emerge as the nation’s biggest cannabis market. With the conclusion of California’s waiting game on recreational marijuana sales legalization, the golden state will help millions get legal access to recreational cannabis. On Thursday, Bureau of Cannabis Control finally released the long awaited list of regulations that would regulate the golden state’s upcoming marijuana industry. The 276 paged document consists major rules, ranging from regulating the THC limits to prohibiting drone deliveries of cannabis. Many dispensaries hand out welcome gift bags that contain different cannabis strains, products, and accessories. It’s easy to enjoy a drink while having fun at every party. However, some people might not be able to control how much they’re drinking. Have you experimented on drinking cannabis-infused tea? Tea in itself has a calming effect and is a great alternative to traditional edibles. According to a new study published in the Journal of Pain Research, it can help patients suffering from chronic pain. Italian researchers assessed the use of cannabinoids for intractable pain in over 600 patients. Study subjects were typically over the age of 60 and consumed cannabinoids via infused tea. They reported that no subjects in the study complained of severe side effects and that only a few patients discontinued cannabis treatment. https://www.onlinemedicalcard.com/wp-content/uploads/2017/09/25.png 423 1150 Admin https://www.onlinemedicalcard.com/wp-content/uploads/2018/06/Steady-Care-Logo-Converted11-1-300x68-300x68.png Admin2017-09-01 17:04:172019-02-22 02:58:02Does California need to worry about the demand of cannabis after legalization? A cannabis tincture, also called “green dragon,” is a concentrated liquid form of marijuana. It is a simple way for patients to take their medication and is one of the oldest methods of consumption. In fact, tinctures were the most common type of cannabis medicine in the United States before the prohibition began in 1937.